Contact us by e-mail or give us a call for reservation. Hospitality at its best, service with a smile. 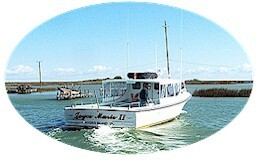 Call 757-787-3521 and speak directly with Linda for additional information regarding fishing charters, tours, etc. permission of Colonial Manor Inn and/or the Chesapeake Bay Sampler.